Every now and then the supermarket has some slightly different products. The other day our local market had ground bison and so we made the quick decision to make bison sausage. It is estimated that somewhere between 20 to 30 million bison once dominated the North American landscape. Habitat loss and unregulated shooting reduced the population to just 1,091 by 1889. Today, approximately 500,000 bison live across North America. It is really quite incredible to see them all roaming in state parks if you ever drive out West. However, most of these are not pure wild bison, but have been cross-bred with cattle in the past, and are semi-domesticated after being raised as livestock for many generations on ranches. Our product came from farmed bison. 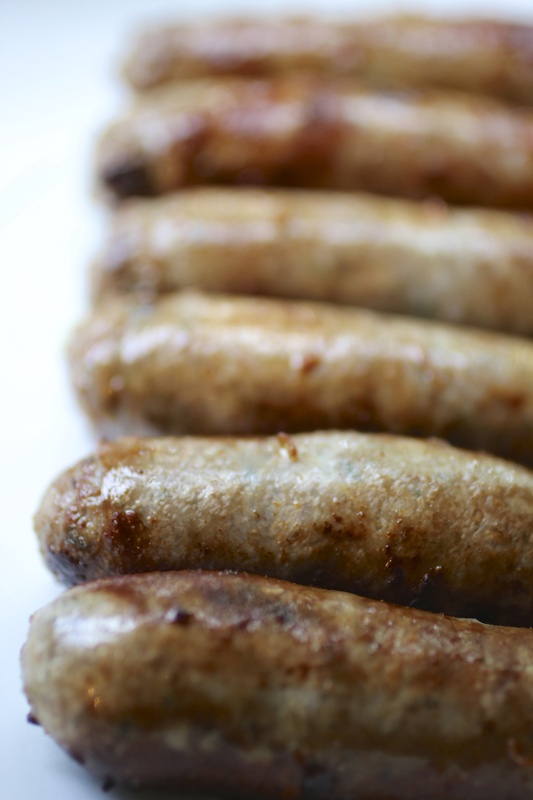 Once home we did a quick check of the fridge, pantry and garden to come up with the recipe for our sausage. Place the ground bison in a chilled bowl then add a spoonful of olive oil, 3oz of panko (bread crumb), 1/4 teaspoon of freshly milled black pepper, 1 teaspoon of kosher salt (or sea salt), a good grate of nutmeg and a selection of finely chopped fresh herbs (we used pineapple sage, flat leaf parsley, oregano and thyme). Then mix together and leave in the fridge for at least 20 minutes. 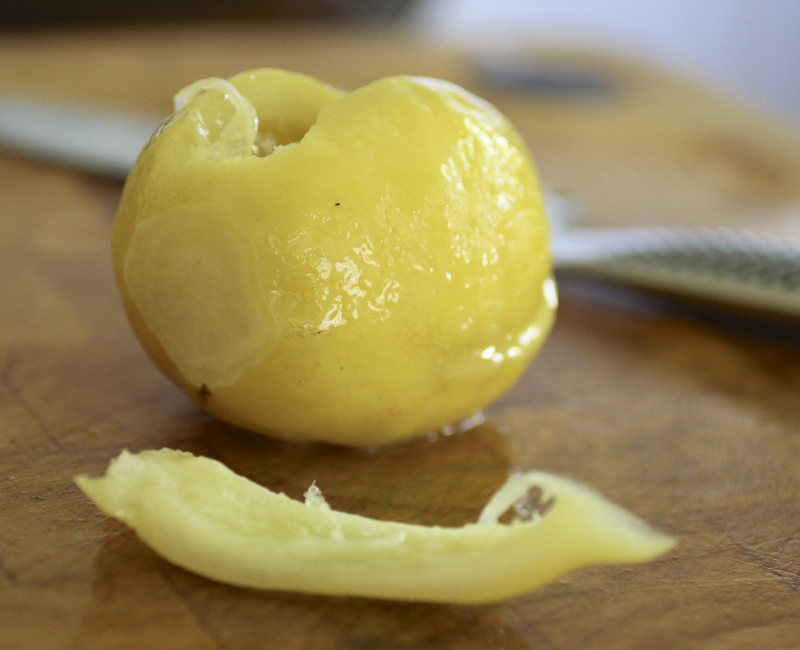 In the meantime, take a quarter of a preserved lemon (you can buy or make these yourself). Remove the flesh and discard then finely chop the preserved peel. Add the chopped peel to the bison. 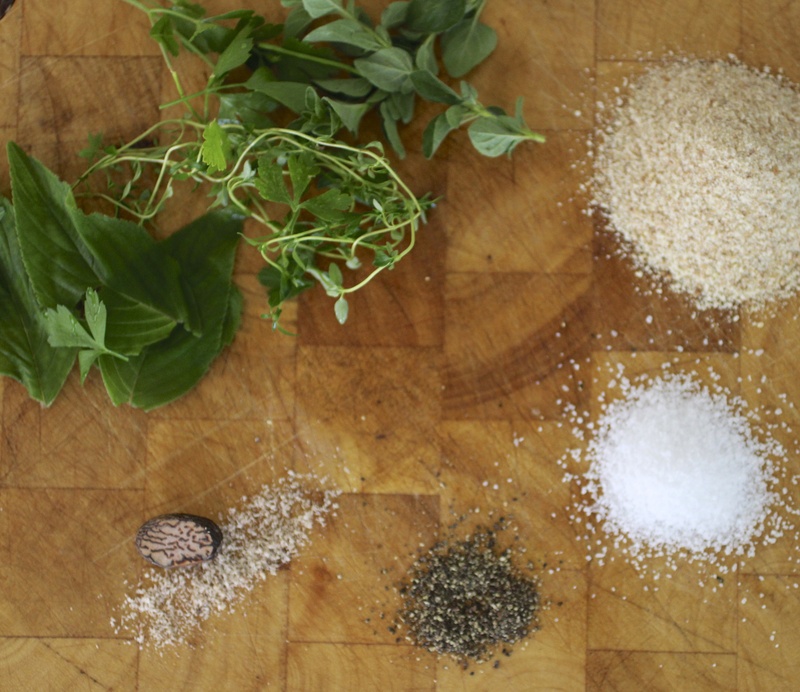 At this stage it is always wise to cook a little sample of the mix to ensure the seasoning is correct. Next stuff the mix into sausage casings. Once done, you should resist the temptation to cook and eat immediately but rather instead leave overnight on a wire rack in your refrigerator. This not only helps the sausage to bind together, but also lets the flavors of the herbs and preserved lemon combine with the meat. 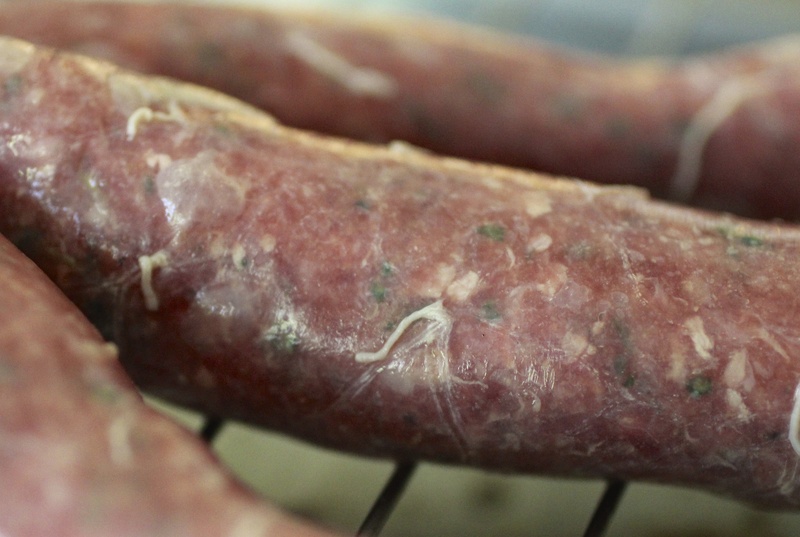 Because we used fresh herbs (which have some water content) we use a fork to ‘prick’ the sausages before cooking as this will allow the water steam to escape without splitting the casing. 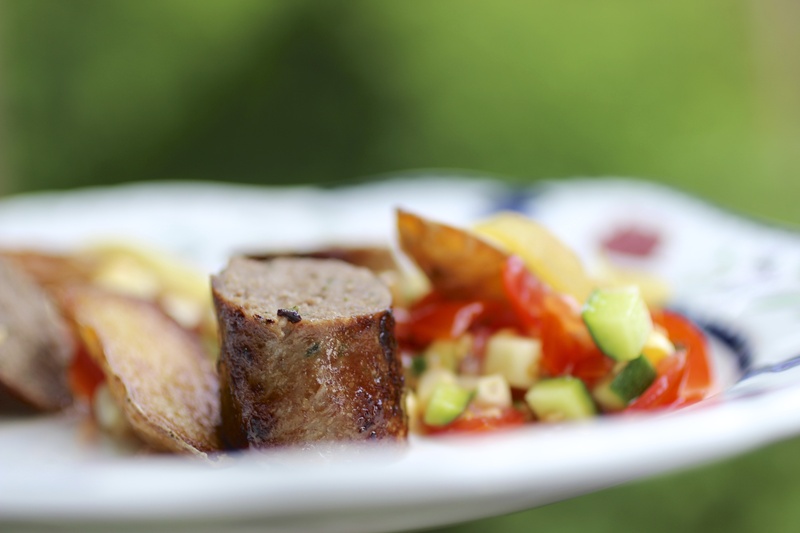 We served our bison sausage with a garden salsa and preserved lemon potatoes (blog to follow). 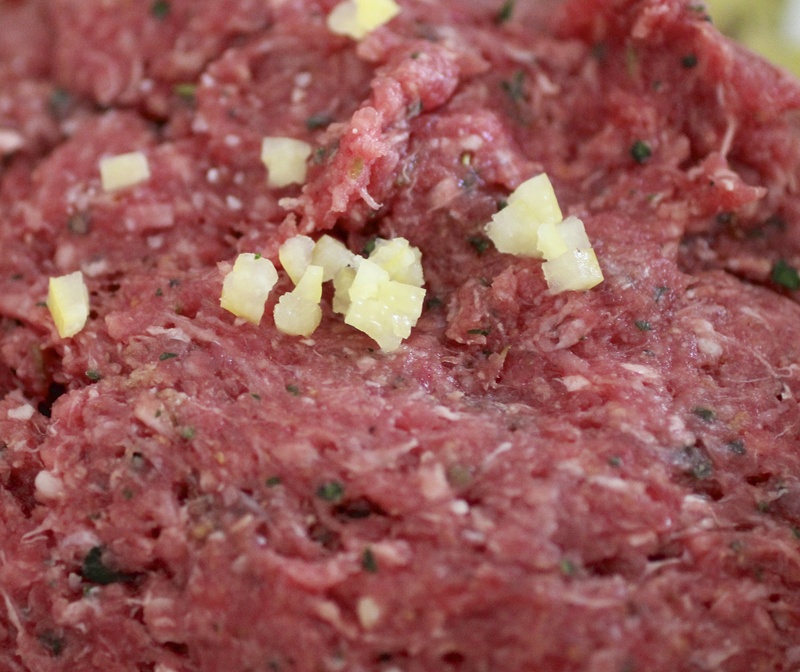 The bison is a lean meat and we found it a more subtle flavor than beef. In no way was it “gamey”. The lemon rind added a real freshness and zing to the taste. 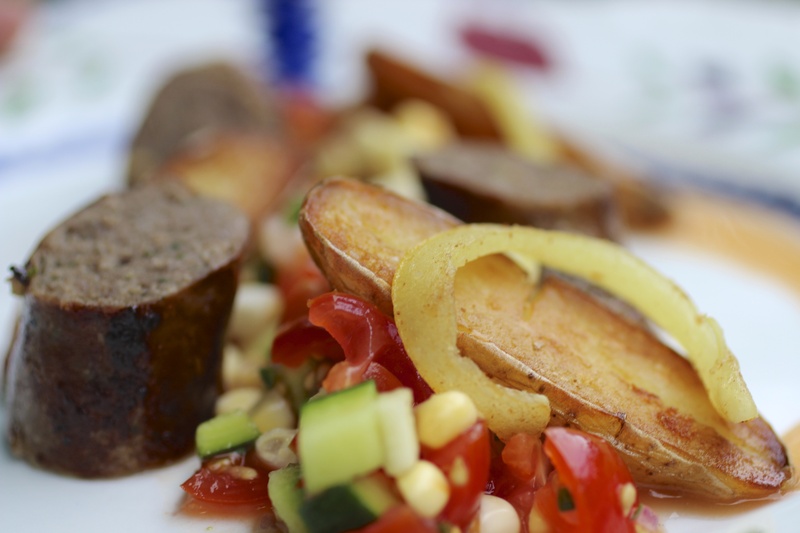 If you fancy a change from beef, then we really recommend bison as a lean and tasty alternative.